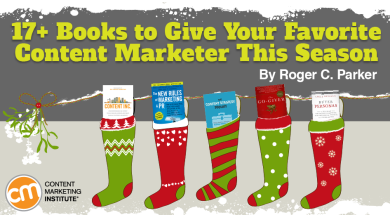 Books make great holiday gifts for content marketers. Your gifts acknowledge the content marketing efforts and passion that your co-worker, employee, friend, or loved-one has demonstrated during the previous year. On a practical level, gifts of books that inspire, share ideas, and offer tips can contribute to even greater success during 2016. The majority of the books that follow were published (or republished) during 2015 – an unusually good year for quality content marketing books; the selection has never been as broad or as deep as it is now. If you’re buying for content marketing newcomers and are looking for the best introductory or overview titles, or for books for recent graduates and business owners ready to commit to content marketing, you’ll find new choices as well as updated editions of classics. If you’re buying for experienced content marketers, there’s a fresh crop of books that goes deeper into specialized content marketing tasks. These reflect the continuing maturity of content marketing as a discipline with growing opportunities for career advancement in different areas. 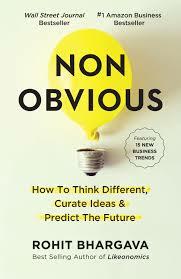 As in previous roundups, I have included books from adjacent categories such as information design and psychology. These out-of-field books often offer fresh insights and viewpoints that contribute to content marketing success. In my previous recaps of content marketing books, like last year’s Guide to 2014’s Best New Holiday Gift Books for Content Marketers, I organized books alphabetically by the authors’ last names. This time, however, I organized books alphabetically within the categories as Content Marketing Institute did in its compilation of this summer’s Essential #BestBooks Reading List for Content Marketers. It contains over 50 additional gift suggestions for the content marketers in your life. Referring to this compilation will help save you time in choosing the perfect book for your friends, co-workers, and loved ones. It will allow you to compare the latest books in each category with books published previously. These books provide excellent overviews of the content marketing field and the types of opportunities it offers business owners, marketing professionals, and self-employed professionals looking for the big-picture perspective. 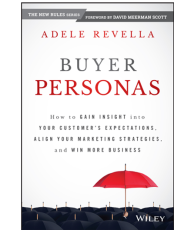 If you’re looking for a next logical step for content marketing newcomers, take a close look at Adele Revella’s Buyer Personas. It’s a deep dive into the heart of content marketing success, i.e., understanding your customer’s needs and expectations so you can align your marketing strategies with what is, rather than what you assume. The key to understanding the relevance of buyer personas is that they determine the success or failure of every content marketing step that follows. No matter how well you implement the following steps, ultimately, the success of your content marketing is determined by whether you’ve chosen the right targets and addressed their true information needs. Buyer Personas goes even further by stressing that content needs differ according to the prospect’s location in the buying journey. Newcomers to the field have different information needs than those who are comparing options, who already purchased, or who have been asked for recommendations or referrals. There are a lot of one-dimensional buyer persona articles and templates available online, but none goes into the topic as deeply as this book. Furthermore, none is based on as much specialized hands-on experience with the practical aspects of creating accurate and actionable buyer personas. During a recent conversation, Joe, the founder of the Content Marketing Institute, shared a remarkably candid insight: “Content marketing is an iterative process; you’re unlikely to get it perfect the first time around … but, it gets better the more you work at it.” The same can be said about Joe’s writing and publishing career. 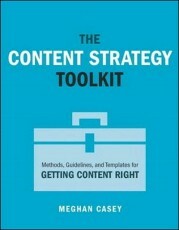 Content Inc. is Joe’s fourth book and the second he’s written by himself. It’s also the most organized, personal, and readable of his books. It details a six-step content marketing process that any entrepreneur, marketing director, or self-employed professional can use to harness and profit from a content process. The chapters contained within the eight sections detail the relevance, the challenges, the best practices, the tools, and – most importantly – the accomplishments and rewards that other firms and nonprofits, large and small, have gained from each step. But, more than the do’s and don’ts of content marketing, Content Inc. offers an inspiring story of change and perseverance – the story of iteration and change. Like many businesses and associations, the Content Marketing Institute’s success is the result of Finding its Sweet Spot (Part 2) and locating its Content Tilt (Part 3). The fundamental steps are described in Discovering Your Content Mission (Chapter 6) and Ways to Unearth Your Content Tilt (Chapter 7). In the chapters that follow, Joe describes how the Content Marketing Institute, and other businesses have built their base, harvested their audience, diversified, monetized, and prepared for the next level. Joe’s message and voice are clearer in Content Inc. than in his previous books, and he holds nothing back in describing how he assembled his team while refining his message and delivery. In doing so, Content Inc. provides a road map to success that others can easily adapt to their own challenges and resources … if they’re willing to iterate. Take a glance at the bookshelf of your entrepreneur or marketer gift recipient. 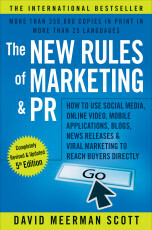 If you don’t find a copy of David Meerman Scott’s The New Rules of Marketing & PR, this is the book for you. The fifth edition is a perfect complement to Joe’s Content Inc. Both provide an excellent overview of the field with different perspectives, examples, and organization. Whereas Content Inc. is organized in a six-step process or sequence, The New Rules of Marketing & PR is organized by tools or tactics, such as improving your online newsroom, and exploring mobile marketing, graphics, or podcasting. This makes it easy for you to locate task-specific information, examples, and tips. David’s perspective has evolved in the last two editions. His voice as a consumer of content marketing is stronger – both in its appreciation of content that is done well, and in his impatience with poorly implemented content. David’s consumer approach is an excellent counterpoint to Joe’s business owner or marketing professional approach. The following books are appropriate for experienced content marketers looking for assistance in fine-tuning their skills in specific areas. The techniques shared in the following books can help content marketers differentiate themselves in coming years. Content Strategy Toolkit is the perfect book for those looking for a behind-the-scenes view of a professional content agency at work. Meghan Casey, lead content strategist at Brain Traffic, describes the content creation process in terms of real-world issues like establishing budgets, obtaining stakeholder support, identifying project objectives, researching the competition, and articulating a content strategy to guide execution. Living up to its title, the book allows readers to download more than 30 of the word-processing and spreadsheet templates the agency uses when working with its Fortune 500 clients. After viewing examples of the templates in action in the book, you can easily put them to work in your agency or business. Successful content marketing careers are the result of looking beyond today’s best practices and following emerging trends. Every Page Is Page One is a long-tail book for the content marketer, copywriter, or content strategist in your life who has a copy of Scott Abel and Rahel Anne Bailie’s The Language of Content Strategy or has expressed interest in attending next year’s Intelligent Content Conference in Las Vegas. Mark Baker addresses how the Internet has changed the way people seek information and what it means for content creators. It provides a working vocabulary for understanding the differences between writing a book and writing for the web. It’s also an excellent example of the increasingly popular trend of releasing book contents as blog posts as they’re being written, and building a market for the book while attracting comments and feedback that contribute to a better book. 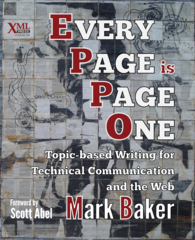 Although the inclusion of “technical communication” in the title may appear overly specialized, the topics addressed in Every Page Is Page One are likely to become increasingly relevant to more content marketers as more utility and return on investment are expected from the content. of Style” for the information age. 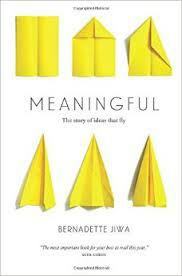 Bernadette Jiwa’s Meaningful is her fourth slim, but provocative book. It reflects ideas she germinated working with clients and sharing three days a week in her Story of Telling blog. Her approach to stories goes deeper into the connection between story and product than most, yet her writing style is magnetic in its conciseness and momentum. Meaningful describes a marketing approach based on innovation that goes far beyond features, benefits, and exposure. Like one of the major themes in Content Inc., Bernadette addresses the inevitable disconnect (i.e., wasted time, effort, and resources) that results from the universal tendency to create products first, then look for customers to sell them to. Customers can’t be persuaded to buy what they don’t want to buy. True innovation is story-based, but it’s not based on your story. Instead, it’s based on listening to the stories of your customers and prospects, and listening for what’s not there. Innovation, in other words, is empathy-based listening and filling the gap between what customers are settling for now and the stories they would tell their friends if the missing products or services were available. Meaningful inspires fresh thinking by encouraging entrepreneurs and marketers to look beyond the obvious and be more open to exploring opportunities that can enrich the lives of their customers. Content marketers don’t exist in a vacuum. Like business owners, they have to constantly inform, motivate, and persuade audiences, bosses, clients, committees, co-workers, customers, employees, investors, the media, and prospects. Like businesses, content marketers also have brands; their brands can be the result of their reputation as thought leaders, as well as the way they present themselves in casual conversations, meetings, and behind podiums. 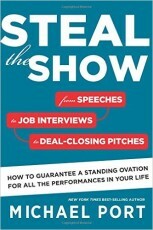 In one way or another, these books focus on career-enhancing ideas and tips that build personal credibility and trust. At first glance, you may wonder why I’ve included the expanded 2015 edition of the 2007 international best seller, The Go-Giver: A Little Story About a Powerful Business Idea, in the marketing and branding section of a holiday gift guide for content marketers. Bear with me. The law of value – Your true worth is determined by how much more you give in value than you take in payment. The law of influence – Your influence is determined by how abundantly you place other people’s interest firsts. Underlying the five laws is the empathy and understanding that comes from knowing your market and their needs, which makes The Go-Giver an excellent companion gift to Adele Revella’s Buyer Personas. 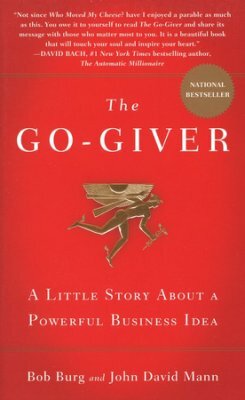 Over 500,000 copies of The Go-Giver have been sold around the world. 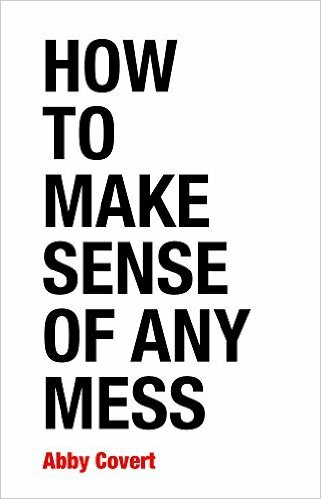 When it first appeared eight years ago, I viewed it as a field guide to daily interactions. Having just reread the expanded edition, I now view it as an important addition to any content marketer’s library. Want to become thought leaders – Non Obvious also could be called an Ultimate Guide to Becoming a Thought Leader in Your Field by Spotting Emerging Trends. He shows how to take content curation and use it to establish a reputation as a trend spotter. After describing the three elements of trends and five questions to ask yourself when quantifying trends, he outlines a process – The Haystack Method – for locating and grouping ideas, identifying themes, naming them, and providing proof. In section two, he provides an example of the Haystack Method at work, sharing his 2015 Non-Obvious Trend Report. In Part Three, The Trend Action Report, he provides a detailed road map to monetizing the trends you have identified. Like Content Inc.’s description of the goals and structure of the Content Marketing Institute, Rohit shares the big picture as well as the day-to-day monetization options and details. 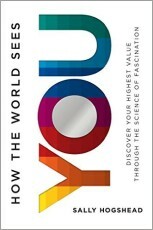 How the World Sees You is an important book for content marketing from several perspectives. By helping you view yourself as others view you, this book will make you better able to market yourself and your message to clients, co-workers, employers, and prospects. Sally’s work also is an excellent example of how a skilled author and researcher can take a complicated topic and organize and simplify it into three parts and just eight chapters (plus several appendices). The book’s discussion of fascination can help content marketers add engagement to the ideas and examples they create and curate on a day-to-day basis. If you’ve ever watched David Meerman Scott deliver one of his popular keynote speeches, you undoubtedly noticed his confidence and energy as he approached the podium. If you asked him how he became such a powerful speaker, he’ll probably credit Nick Morgan who has had decades of research-driven experience coaching today’s most successful speakers. He is a frequent political debate television commentator. 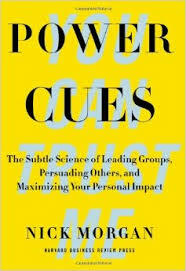 Nick’s latest book, Power Cues, discusses the nonverbal cues that influence an audience’s perception of you and their openness to your message before you begin to speak. It shares ways to become aware of the gestures so you can project your desired persona through your emotions. Equally important, Power Cues sensitizes you to the unconscious nonverbal signals of others, permitting you to be better able to evaluate what others are communicating. Chapter One, Knowing Your Own Power Cues, begins with a riveting story that demonstrates the intimate relationship between mind and body. By changing the way a workshop participant stood and held his hands during an impromptu exercise, the speaker turned a boring recital of facts into an inspiring story that captivated his audience. Power Cues is filled with similar examples, making it an excellent gift for content marketers who aspire to becoming in-demand A-list keynote speakers and thought leaders in their field. Part One, The Performer’s Mindset, addresses topics like finding your voice, playing the right role, and managing your fear. Part Three, A Master Class in Public Speaking, shares recipes, best practices, and tips for crafting captivating pitches, telling stories, rehearsing, and pacing your speeches. Chapter 15, How to Get a Standing Ovation Every Time – Really, is the longest chapter in the book. In it, Michael shares his five keys to a show-stopping performance, which is a collection of suggestions and tips based on his extensive speaking experience. 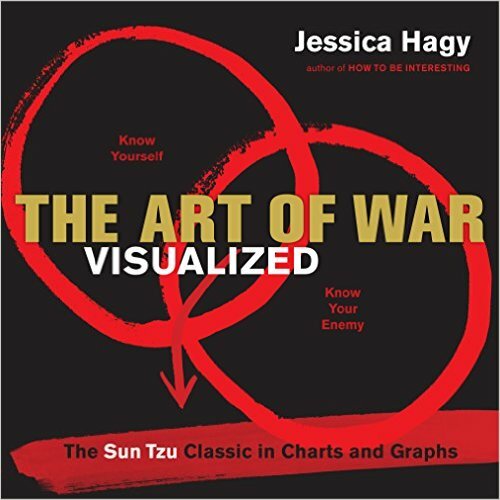 If you’re looking for a book that will expand the vision of the word-oriented copywriters and content creators in your life, The Art of War Visualized would be an ideal gift. Many content marketers tend to overlook the ability of simple visuals to communicate at a glance; the tendency is to think of visuals as something you add at the last minute to increase “likes,” shares, and tweets. It will take just a few minutes with this book to open their eyes to new possibilities. One of the most influential business books of the year, The Art of War Visualized is an excellent companion to previously reviewed hand-drawn visual books like Dan Roam’s Show & Tell, Sunni Brown’s The Doodle Revolution, and Mike Rohde’s The Sketchnote Handbook. In today’s complex, information-drenched world, content marketers need to be frequently reminded of the ability of simple hand-drawn illustrations to reduce ideas to their essence. Simple visuals can help content marketers break through the clutter and illuminate ideas that might otherwise require pages of text to describe. Visual communication options are especially useful when creating social media graphics to accompany blog posts and presentation visuals. Ask is the perfect book for the content marketer or subject-matter expert looking for a fresh approach to monetizing their expertise. It describes a step-by-step approach to asking the right questions to identify the specific information your prospects want you to address. Although rarely acknowledged, except for search engine optimization of headlines and titles and after-the-fact traffic conversion metrics, direct marketing techniques can play a significant role in content marketing. Like Jeff Walker’s previously reviewed Launch, Ryan Levesque’s Ask assumes the reader has existing content and is looking for a way to market it as efficiently and effectively as possible. However, whereas Launch focuses on building anticipation for a product launch, Ask describes an engagement program that provides readers with a step-by-step survey program that will help them identify the specific needs of different market segments, allowing readers to personalize their offerings to best meet their prospect’s needs. Whether approached as an excellent example of writing a book to build a business or as an example of creating an orchestrated marketing funnel to engage, qualify, persuade, and follow up with prospects, Ask can be a valuable game-changer for those looking for fresh monetization ideas and guidance. 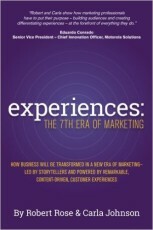 Experiences: The 7th Era of Marketing is an inspiring manifesto for change that can be a career catalyst to forward-thinking experienced content marketers. Introduced early this year, it remains one of 2015’s most significant content marketing books. Written by Robert Rose, the Content Marketing Institute’s chief content strategist, and Carla Johnson, one of the top 50 influencers in content marketing, Experiences describes a new role for content marketing professionals. In most corporations, chief content officers focus on managing the pragmatic traditional tasks associated with message creation, distribution, and tracking. They have little responsibility for the overall customer’s experience – including the development of new products and services. The content marketer of the future, however, is a truly executive-level position responsible for the firm’s ability to live up to the promised products and services. By previewing a new era of marketing, Experiences provides an exciting career road map for experienced content marketers. The following titles provide fresh insights on the psychological issues that advance or hinder a content marketer’s productivity – whether they work alone, or in groups. They build on previously described books, Scott Belsky’s Making Ideas Happen, Charles Duhigg’s The Power of Habit, and Nancy Ratey’s The Disorganized Mind. Many of the productivity books mentioned in this summer’s Essential #BestBooks Reading List owe their origins to the experiments conducted by Walter Mischel. 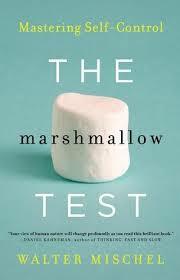 The Marshmallow Effect is his story of the famous experiments that have influenced a generation of productivity and motivation books. The Marshmallow Effect discusses willpower; the fundamental personality trait needed for consistency and commitment – topics of core relevance to content marketers. As Joe shared in Content Inc., content marketing success doesn’t take place overnight; its effectiveness typically builds over time. Joe and Robert Rose also discussed the challenges relating to content consistency in a recent This Old Marketing podcast, Consistent Content Is Key (And Most Brands Can’t Do It). Although the original study of 4- and 5-year-olds referenced in the book happened more than 50 years ago, the participants continued to be tracked throughout their lives. The results conclusively show that children who were willing to defer immediate gratification (i.e., willing to put off eating one marshmallow now in exchange for two marshmallows in 20 minutes) had greater career success, better health, and fewer divorces than those who chose the single marshmallow. Of even greater importance to content marketers, recent neuroscience research reveals the brain’s amazing plasticity – ability to change. The Marshmallow Test shows it’s possible for individuals to monitor and control their willpower, breaking habits and opening the door to improved health and greater success. This is the book for the content marketer who frequently feels overwhelmed by a combination of information overload, the increasing need to produce more content, and a lack of time. Part One focuses on how the brain works and what happens when presented with too much information, i.e., cognitive overload. Understanding how attention and memory work provides a key to exporting or “offloading” tasks so your brain can focus on what’s truly important. Part Two applies the information shared in the first part to organizing your home, your social interactions, your time, and information to focus your brain’s resources on what’s truly important. By organizing your business world, you can create higher value. Part Three is best captured in Chapter Eight, What to Teach our Children. It provides tips to helping the next generation address the challenge of organization. The last chapter provides tips for dealing with everything else, i.e., what to do with other information that clutters our brain and undermines our productivity. 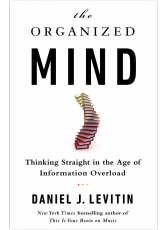 The Organized Mind will be especially welcomed by readers who have more than one Malcolm Gladwell book, like The Tipping Point or Blink!, on their bookshelves. Origins – More content from the books published this year originally appeared as blog posts or podcasts. Organization – There is an obvious trend to organizing books into three or more sections. Within the sections, there tend to be several short chapters, each focusing on specific topics. Format – Many of this year’s books are smaller and shorter than in previous years but compensate by focusing on specific content marketing challenges, tasks, or trends. Higher production levels – More attention appears to be placed on the design of book cover and inside pages. Book-website content partnerships – Many books contain links to drive traffic to the authors’ websites to download additional resources, such as checklists, templates, or worksheets. Pricing surprises – One of the bonuses of buying print books as gifts is the surprisingly low premium you have to pay for a beautifully produced hardbound book compared to the price of the digital version. As I’m writing this, the Amazon.com price for a beautifully produced hardcover edition of Content Inc. is $14.23, while the price of the Kindle version is $13.52. In other cases, the Kindle versions of several extremely valuable books – like Non Obvious – are available for just 99 cents. What a strange world we live in. I hope that the titles in this list will help you choose an appropriate gift for your content marketing co-workers, employees, friends, family, and clients. Please let me know if I inadvertently overlooked a recently published book that you feel belongs on this list, or if you’d like to suggest one of your previously published favorites. Likewise, let me know if you found my “alphabetically within categories” approach a helpful way to organize and present the above gift book suggestions. And, if you’ve read one of the above books, please share your impressions. Do you agree the title contains the seeds of a highly successful content marketing 2016? 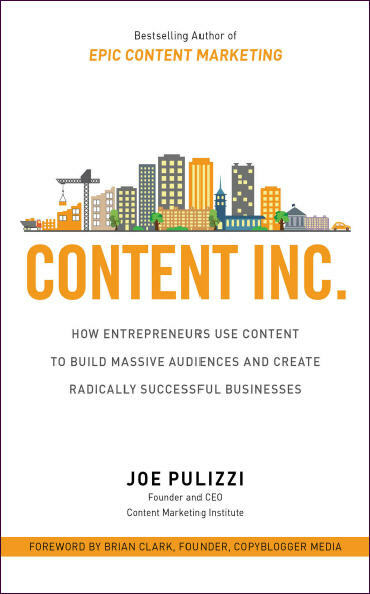 As a special holiday treat for our readers, comment on this blog post by December 31, 2015 for a chance to win one of five audiobook copies of Joe Pulizzi’s new book, Content Inc. Winners will be chosen at random.